FEED THE BUNNY EASTER FUN! This is a super cheep and fun activity that appeals to babies and school age children alike! 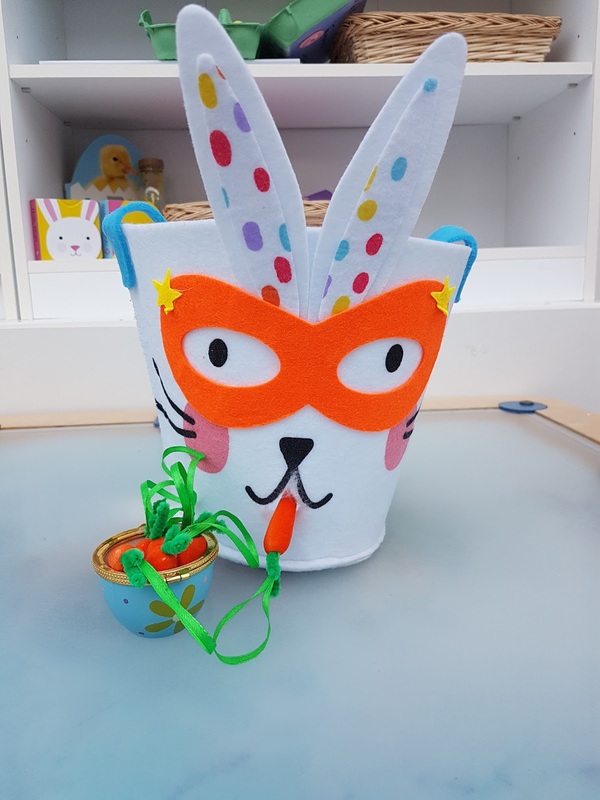 All you need is a felt or cardboard bunny basket or bunny drawn on a box, with the mouth cut out so that you have a posting hole. You will also need carrot shaped cut outs, real carrots or crafting mini carrots, to use as food for the bunny! This set above only cost me £2 and I got the items from Asda’s Easter range. Choose the size of items to suite the age of children you are going to be using it with. Babies love posting games but small craft carrots are not really best for them as they are easy to bite and quite small. Then offer this up as a fun Easter themed posting activity!